Explicit Yes But Why ep 150 Matias Avaca is grateful for the journey! 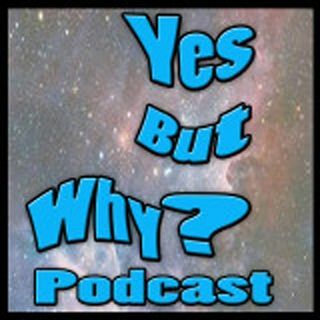 This week’s episode of Yes But Why Podcast is an interview with Argentinian improviser Matias Avaca. Listen in as we discuss the journey that led him to running the Mabel Impro Teatro team in New Zealand. Amy and Matias were connected through previous Yes But Why guest, Christiane Brew, who met him at Improvention in Australia a few months back. There and at many other festivals, Matias has shared his “Living the Impro Loca” format which challenges international improvisers to speak only in ... See More their native tongue, even if their scene partner is not fluent. It is a beautiful melting pot of language and comedy and Matias loves to share it. Matias talks to Amy about being in the midst of a yearlong tour of the world teaching improv workshops and attending improv festivals. He shares his experiences on the road as well as stories of the gurus who taught him improv games at home. This is a great interview to listen to if you are interested in traveling as a performer! Yes But Why Podcast is a proud member of the HC Universal Network family of podcasts. Download the FREE HC Universal Network app for Android and iDevices or visit us at HCUniversalNetwork.com and join the fun.